Ladies dark heather v neck tee. 65/35 Cotton/Polyester blend. 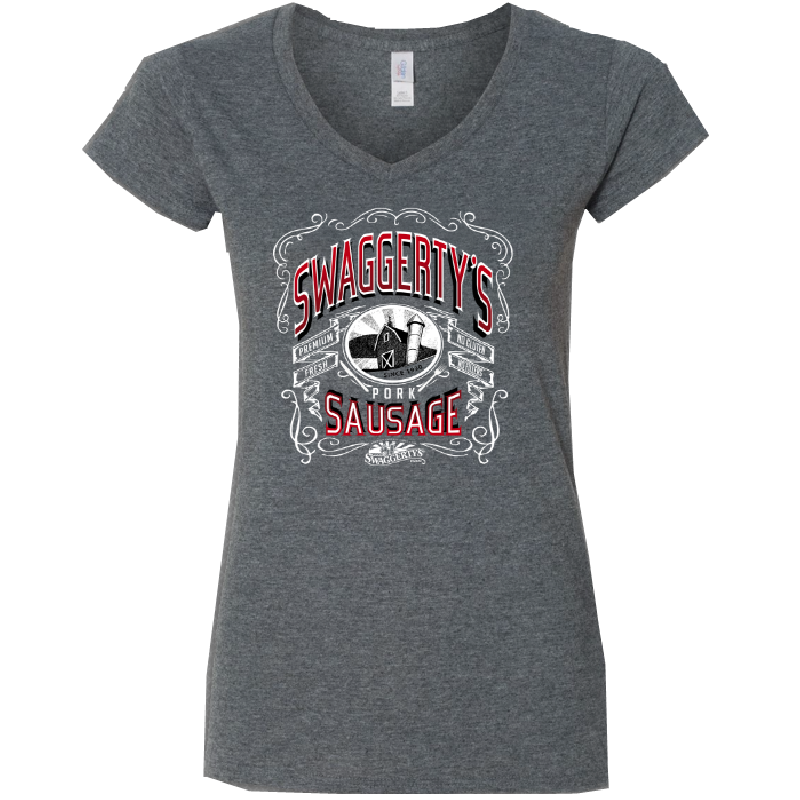 Swaggerty's Sausage design on the front. 16" 17" 18-1/2" 19-1/2" 22" 23-1/2"